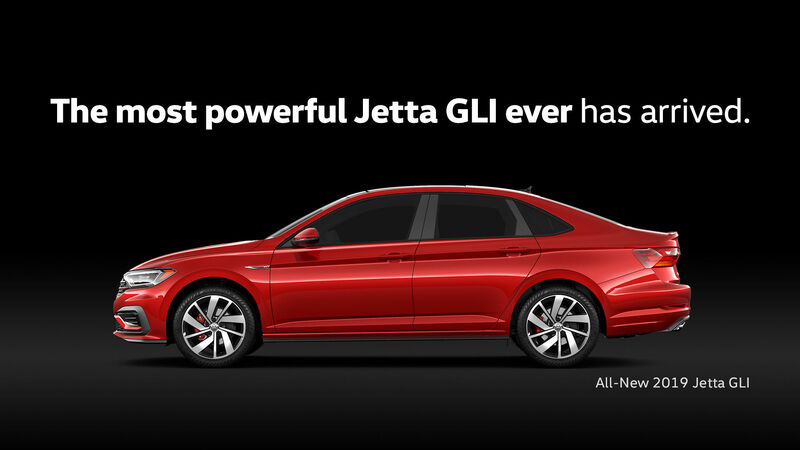 The Power to the People Event is your opportunity to get into the all-new redesigned 2019 Jetta GLI! The most powerful Jetta ever! The GLI is the tuned-up, high-performance version of the Jetta sedan, just as the GTI is to the Golf hatchback. With extra power, a stiffer suspension, and a more aggressive look, the GLI aims to up the ante in the fun-to-drive department. With a turbocharged 2.0-liter four-cylinder with a healthy 228 horsepower and 258 lb-ft of torque. A six-speed manual transmission is standard, and a seven-speed dual-clutch automatic is optional. The GLI's responses are sharper thanks to its lowered suspension and upgraded brakes. With lots of new fantastic options, the 2019 Jetta is a must-see, must-drive and a must-have! All you have to do is drive one! For 4 DAYS ONLY, APRIL 11-15th, get up to $2,500 cash bonus! Come see us for details!